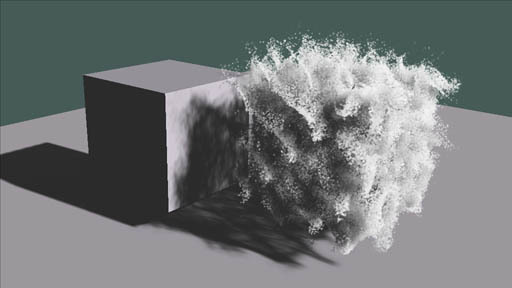 With the implementation of Box 2 the particle physx simulation is multi threaded. Check the documentation on how to enable multi threading in your pflow physx sims. Also the fumefx ops come with fumefx plugin not box3. Confusion and pflow multi-threading go hand in hand. It is no more multi-threaded than when box#2 was initially released. It is true some aspects of pflow are multi-threaded, most are not, particularly map evaluations. Sure the physx sim itself is multi-threaded but the data going into it from pflow is no more multi-threaded now than when Box#1 was integrated. My first out of two AU Masterclasses is out! Hi, is it possible to use a custom gravity shape? Other that Planar and Spherical? Under spacewarps – particles and dynamics. There is a little known object called Vector Field. You can create a custom vector field around any geometry normals. Then you can use the field as force in pflow. Give it a try. Also check out max help. It will give you a the rundown. Anyone succeeded making standard particles (and shaders) looking similar to Krakatoa-Fume FX shading? Something like self-shaded, but also translucent-absorption shader, but with standard 3DS Max material? Any way to fake this? Some free shader plugin perhaps? It doesn’t open particle view. Maybe if i reinstall particle flow? Which i have no idea how to do. Please Help! So I’m doing an animation with airline flight paths, i have come across a problem. With Lock/Bond restrict to surface the paths are correct, I would like them to arc of the globe. So removing that and just using Find target and spherical wind, i can get the look I am going for, however if the destination is further than a certain amount the particles dip below the earth surface. I think there was a way to sync a force influence animation to a particle’s age, so you can animate the influence going up then down?